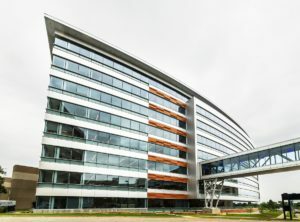 John W. McDougall Company partnered with Flad Architects to build the new Hub for Collaborative Medicine on the campus of the Medical College of Wisconsin. 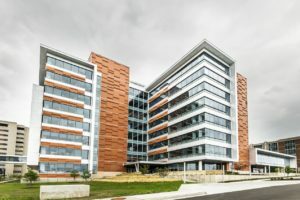 Completed in April 2018, the eight-story, 310,000 square foot building will allow more than 1,400 physicians, nurse practitioners, researchers and healthcare staff to be relocated into one dedicated central workplace, freeing up clinical space within the hospital. We provided the 75,000 square feet of anodic clear 4mm, coil coated Larson ACM panels.